Not only are we talking about less florals and more garlands for decoration, but "Greenery" is also the name of Pantone's Color of the Year for 2017. They describe it as a fresh and zesty yellow-green shade that is symbolic of new beginnings. That sounds perfect for decorating your own new beginning as husband and wife! Pantone also describes the color as "nature's neutral," which fits in perfectly with the color trends discussed later in this blog. Brides are expected to use more garlands filled with greenery in place of large floral arrangements too, and also to search out organic flowers from local growers rather than ordering pricey blooms from far away. This could lead to some beautiful, natural decor for a woodland-themed or rustic wedding. For couples that choose to use fewer flowers for their decor, they will be increasing the amount of other items needed to decorate the room. Some say that creative paper items, like confetti or origami cranes, possibly even hand-made paper flowers, will be used a lot this year. WhereBridesGo.com has a lovely selection of table confetti in a variety of colors and styles. You will also find non-traditional "confetti," like our Hand Painted Butterfly Confetti which can be spread around the table for filler, or even used in centerpiece arrangements and place settings. These would look amazing among a garland full of greenery. 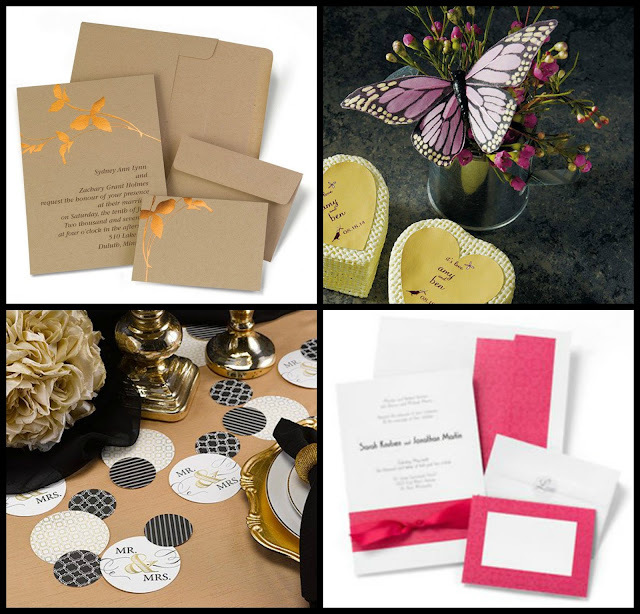 Paper invitations are going to be more than a plain sheet of paper with some fancy writing. Expect to see many with intricate cutouts and textured details. Mixed patterns and layered items, like ribbons and bows, will be a popular look too. Expect to see fewer all-white weddings as couples use more neutrals, such as shades of grey, cream and Pantone's natural neutral, Greenery, with bright pops of color. Metallics will still be popular, but in more muted tones like rose gold or brushed silver. Expect to see less of the bright and shiny golds and silvers in the majority of weddings this year. Reception tables and ceremony aisles aren't the only places to decorate. Using the space above your guests is a great way to extend the look and feel of your wedding style. Tall centerpieces bring the beauty above eye level. 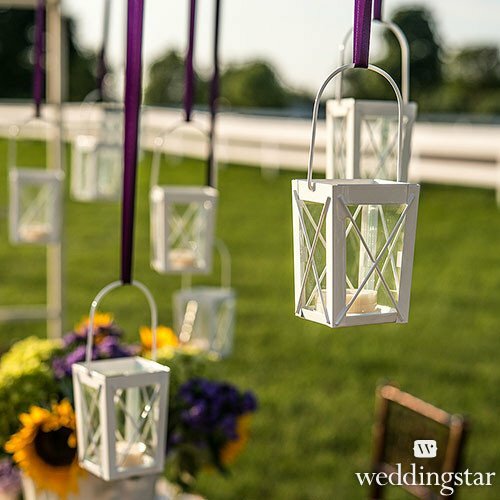 You can also hang lanterns, tulle, or greenery from the ceiling and completely envelop the room in decor. Lighting on the floor projected up the walls is also a wonderful way to achieve this. Every year, people find more and more ways to take care of daily tasks online, like shopping and paying bills. The same can be said for wedding planning. Taking care of details virtually saves you from days full of rushing around town going from store to store searching for what you need. Our online wedding accessory store is a perfect example. 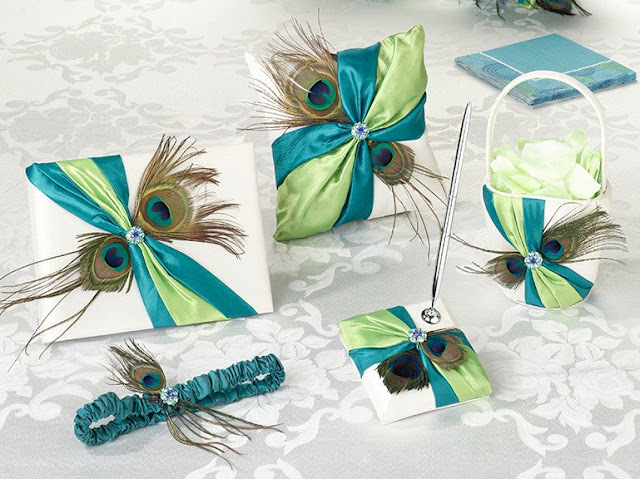 You will find gorgeous items for your ceremony and reception, bridal shower and bachelorette party items, gifts for the entire bridal party, and even extras to take with you on the honeymoon. Lots of details taken care of, all in one place! Wedding websites are becoming a must rather than an extra. It is the easiest way to get information to all of your guests at once, especially if there are any last minute changes to convey. You can also share your engagement story, photos, introduce your wedding party, list registries, provide directions and hotel information, collect RSVPs, and so much more. There are lots of places to set up your own wedding website for free. Simply fill in your information and upload pictures, and the templates put it all into place for you. As we mentioned earlier, not every bride will agree with the current trends, but they are a great source of inspiration. 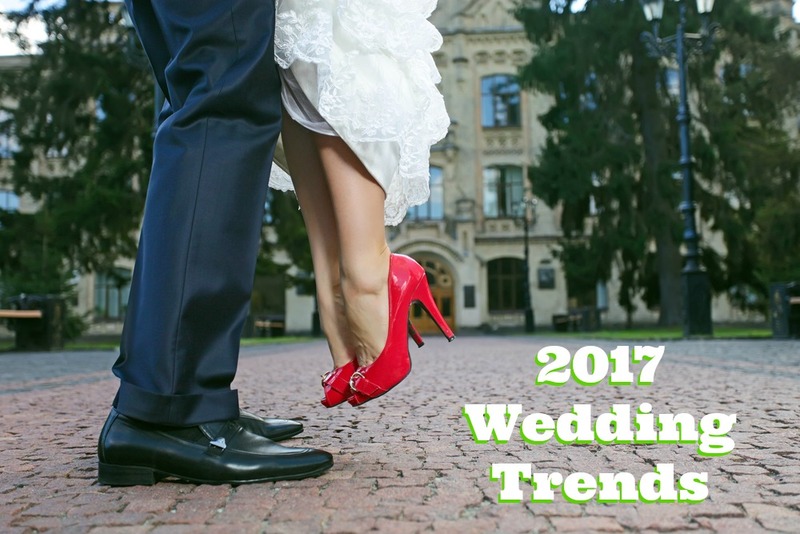 Our online wedding accessory store offers many wonderful items that fit beautifully alongside the expected 2017 trends, but we also have a large variety of items to fit trends of the past, and even possible future trends. When you shop at WhereBridesGo.com, take a little time to browse through everything. You never know which piece will be the one to spark an entire wedding vision for you. Stick with what you love, and that will be the best "trend" for your wedding!